Happy Halloween!. I own nothing! 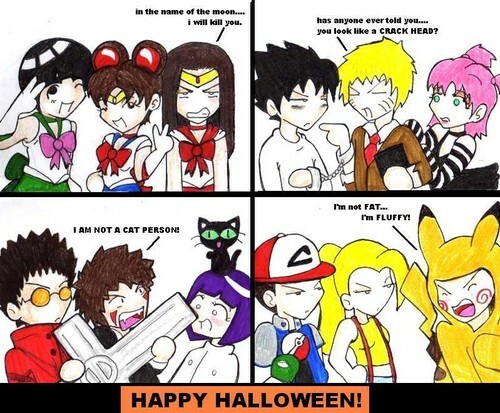 But happy halloween ^_^. HD Wallpaper and background images in the Naruto club tagged: naruto characters halloween. This Naruto fan art contains anime, grappig boek, manga, cartoon, and stripboek. There might also be glas in lood raam and glasraam. LOL. The naruto and sasuke one is hilarious. whats the anime on the bottom left from? Lmao u tell them choji! !